If you’re an atheist who lives alone, holidays can be whatever you want them to be. If you’re an atheist who was raised around Christians (and an agnostic mother who really liked making fudge and buying gifts), and who passed down holiday traditions to your offspring, transitioning to the living-alone lifestyle means reinventing holidays. Last year I didn’t go home for Christmas, which meant skipping the holiday chaos and enjoying a quiet week alone. I was afraid I’d feel lonely, melancholy, and nostalgic, remembering those fun childhood traditions, such as setting up the cardboard fireplace and placing the stuffed snowman next to it. Instead, I enjoyed a Christmas morning run in warm weather along quiet streets in Raleigh, and I lounged around eating chocolate and reading novels all week. Bliss. This year, I took it a step further and asked my friends and family if we can stop exchanging birthday and Christmas gifts all together. I still plan to send a little something to the young nieces and nephews, but otherwise I’m opting out of the consumer part of the holidays. Personally, I’m not feeling it. I don’t need anything, and neither do my friends and relatives. But that’s not to say I’m anti-holiday or opting out of everything. I’m knocking my snail mail volume up to 11 and have already addressed 90 holiday postcards, with 50 more on order. And I went home for a visit over Thanksgiving, a holiday I’ve grown increasingly fond of because of its modern focus on family, friends, and feeling grateful. Plus there’s pie. Although I was disappointed that I didn’t get to see more friends during my brief visit, I was grateful for time with family, including my younger sister. We went antiquing and dug through boxes of old postcards, and I fought the urge to clean out my savings account to buy them all. Instead, we each bought a few, then I scanned them using Google’s PhotoScan app and uploaded them to a G+ album to share. 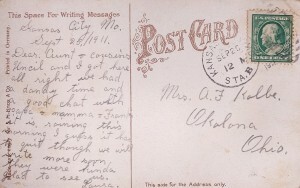 My big takeaway here is to be careful what you write on a postcard, because 100+ years later, it could end up in an antique mall. I visited my former colleagues at my old office for a bit and was delighted to see a postcard I sent them proudly displayed on their kitchen refrigerator. 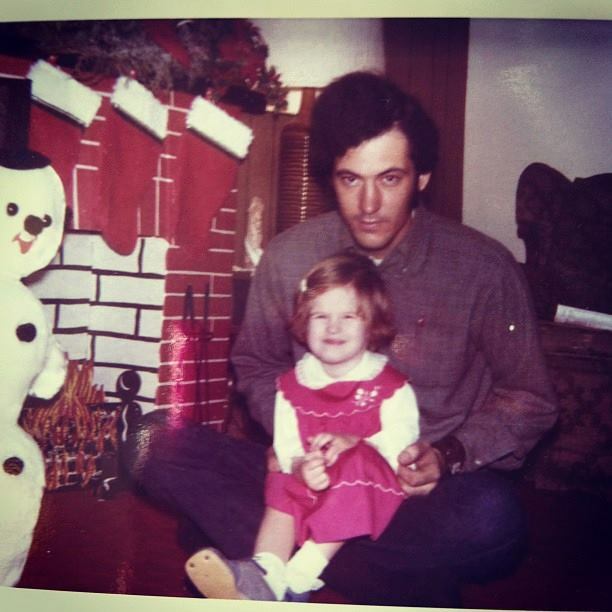 My dad and I spent time in his basement during my visit, looking through boxes of old photos and letters. I learned a few things about my father in the process, but he’d prefer that I don’t share those juicy tidbits here. Instead I’ll share this photo I found of my mother (R.I.P.) 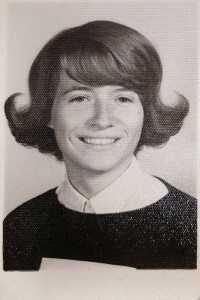 and her fabulous 1960s ‘do. 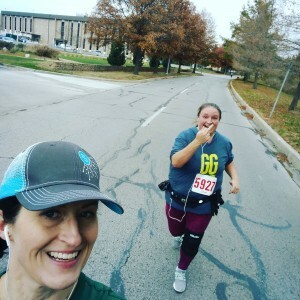 I sent that photo to my sister before meeting her to run a 10k together on Thanksgiving morning. As we ran, I couldn’t help but think about how hard we would have laughed a decade ago if you’d told us we’d be running 10k’s together some day. 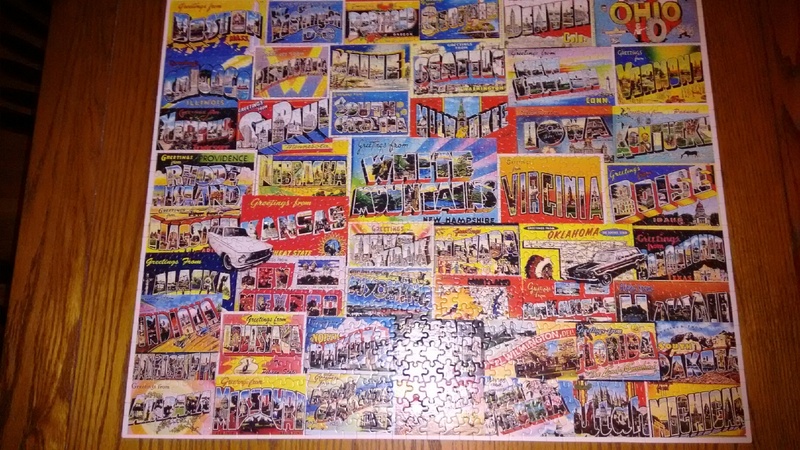 Later that afternoon, I worked on a particularly challenging postcard puzzle with my step-sister and her offspring. You can have a lot of fun conversations while looking for that one damn puzzle piece. 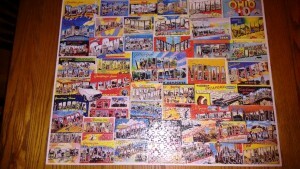 After I returned to Raleigh, my step-mother sent me a photo of the puzzle we’d left for her to complete. Thanksgiving has replaced New Year’s as my favorite holiday. Whereas in the past I embraced New Year’s for the bounty of booze and the symbolic fresh start, a sober me is grateful for a more subdued holiday that inspires us to look to our past while appreciating our present. My New Year’s resolution last year was to read more, which I did. For 2017, I resolve to write more letters and postcards, and I hope you’ll join me. 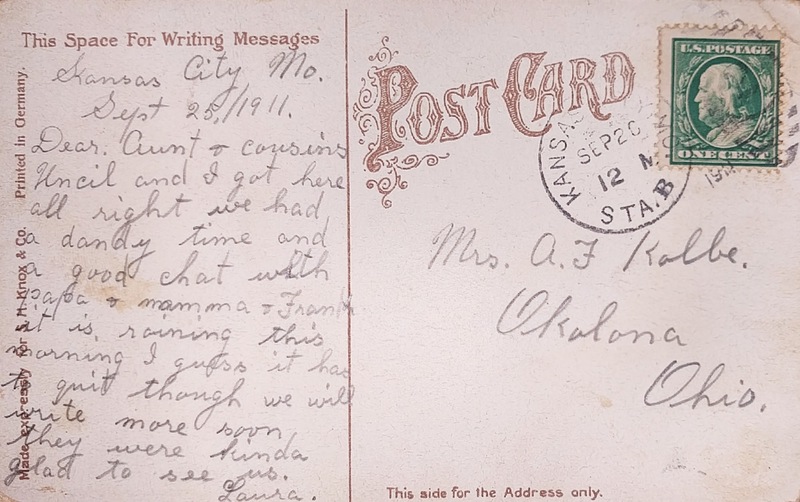 An email archive makes a sorry substitute for snail mail for sharing family history. 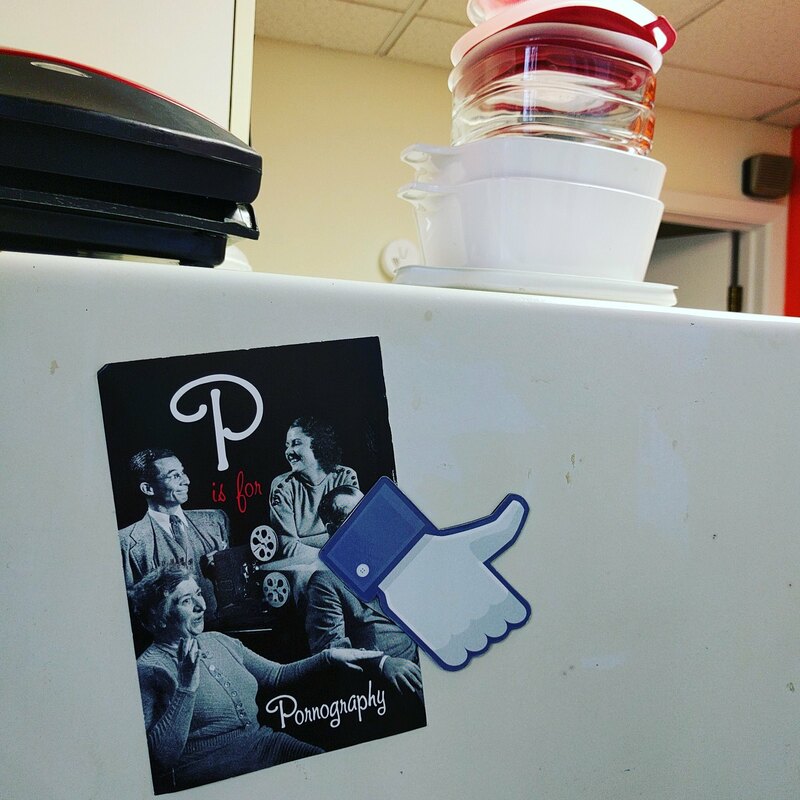 In the process of digging through and reminiscing over hand-written mementos crammed in cigar boxes and fruit cake tins in my father’s basement, we were making new memories.